¿Qué me ha mantenido tan ocupada? El motivo de mi ausencia: soy mamá que comenzó a trabajar de tiempo completo, esposa del amor de mi vida que por su trabajo viaja constantemente, y más recientemente me convertí en la mamá de la pequeña Lu. La dueña de su primer par de 'flats' rojos, a la cuál en su corta edad he vestido y revestido mil veces con 'outfits' para toda hora del día. Ahora estoy de vuelta, y a ritmo de esposa y mamá de dos, seguiré llenando este blog de lindas ideas para que te inspires en la decoración de tu siguiente evento. He vuelto, y no me voy. What has been keeping me so busy? The reason for my absence: I am a mom that started working full time, married to the love of my life that because of the nature of his job travels constantly, and more recently I became the mom of baby Lu. 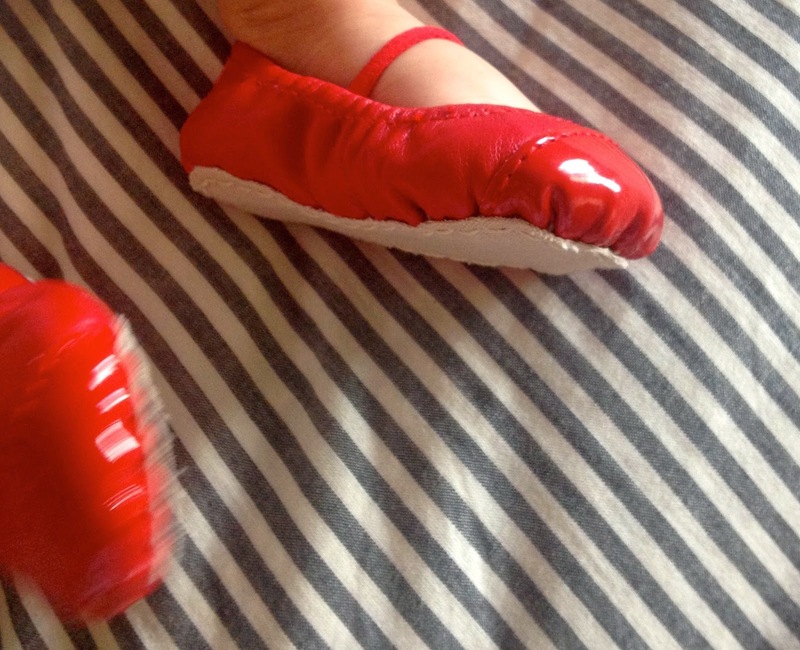 The owner of her first pair of red flats, the one that, even at her early age, I have dressed over and over again with outfits for every hour of the day. And now I'm back, and at the pace of a wife and mom of two, I will keep filling this blog with cute ideas so you can get inspired when decorating for your next event. I'm back, and I'm not leaving. ese abandono sin previo aviso estuvo muy mal, pero con esta entrada te redimes ya me imagino a esa hermosa beba transformada cada cinco minutos. Mil felicidades, ya me preguntaba yo, qué había sido de tí.